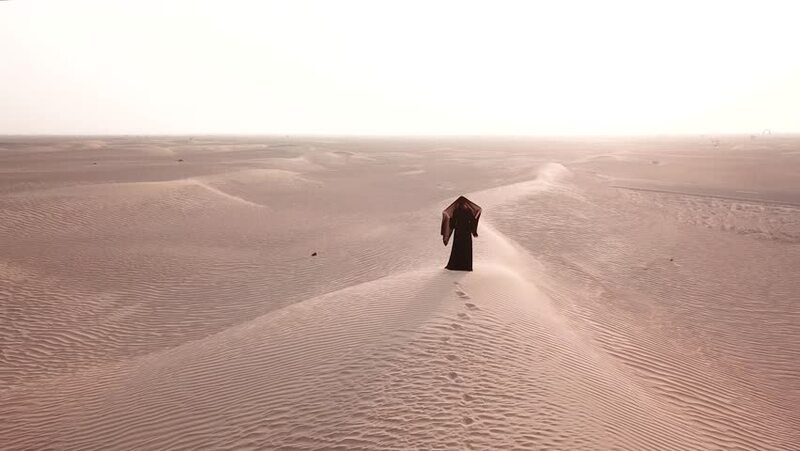 A single woman in abaya (United Arab Emirates traditional dress) walking on the dunes in the desert towards the sunrise bring light. Dubai, UAE. 4k00:15Image of man running on countryside road taken by mist, Heuchlingen, Germany. 4k00:11Young couple of friendly surfers wearing wetsuit, preparing for a morning surfing session.